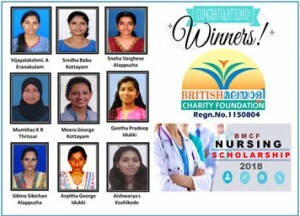 /‘Kerala Floods Relief/Rebuild Kerala Appeal’ crosses £ 75,000.00& ends on 10th Nov. to hand over raised funds to Kerala CM; Awardees for BMCF Nursing Students Scholarship 2018 announces…. 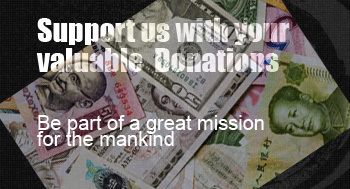 Posted on October 7, 2018 by bmcharity wrote in Charity News, Live Announcements, News, Top News. The trust has decided to close the ongoing ‘Kerala Floods Relief Appeal’ by 10th Nov. 2018 and arrangements are being made to hand over the raised funds to the Chief Minister’s Distress Relief Fund immediately thereafter. Apparently, this is the longest appeal issued by the charity with thesingle largest amount raised so far right from the inception of the foundation. The appeal was issued on 10th August 2018 in response to the flooding in the state of Kerala and well before the worst torrential rain, which hit state badly with floods and landslides. 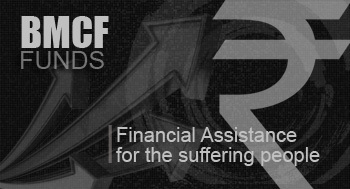 It was decided thereafter to donate to Chief Minister’s Distress Relief Fund in view of the wide scale of devastation and calamities caused to support the rehabilitation/rebuilding of the state. 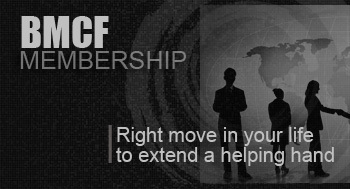 Since then many individuals, groups & associations joined BMCF by setting up their own virginmoneygiving fundraising page and a large number of people including non malayalees& foreign nationals directly donated to the charity as well. The United Scotland Malayali Association (USMA), Friends Sporting Club, Manchester; Malayali Association in Sutton & Surrey(MASS),Kerala School, Coventry; Reading ‘Nadinoppam'; ‘Dans Kerala Floods Aid’, Leeds (Anthony Augustine and his son Daniel is doing sponsored bike ride from Liverpool to Leeds), Sonsy Sam from Basingstoke, Dr. Mathew Jacob from Leeds, Devon Malayali Association, Darlington Malayali Community, Sunderland Malayali Community , Sunderland hospital staff and Canterbury Keralites Association have also pledged their support to British Malayali Charity Foundation and donated to CMRDF. 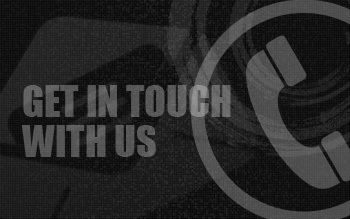 Even now thesupporting partners are working out varieties of fundraising events such as an 11 years old 4th standard boy from Leeds, England, Daniel Kunnel undertake a bike challenge from Liverpool to Leeds on 20th October to 22nd Oct 2018. Dr. Mathew Jacob from Leeds had already raised over £ 1000.00 by doing a circular bike challenge. 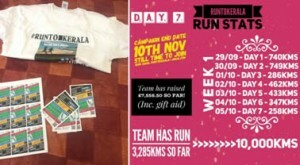 Also, a group of enthusiastic young people from England has already launched an event on 29th Sept. known as ‘Run to Kerala’ estimating a participation of 200 runners across the world with an overall target of 10000 Kms run based on the approx..distance from England to Kerala, which finishes on 10th Nov. 2018.They have already raised very near to their target amount of £ 10,000.00 within days of the event began. 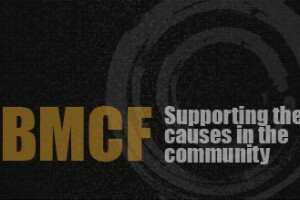 While BMCF itself has raised nearly £ 50,000.00, supporting partners have alreadycontributed over £ 25,000.00. 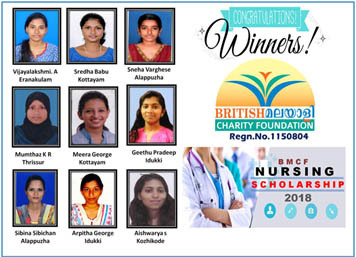 In the meantime, the charity has published the list of 9 applicants for BMCF Nursing Students Scholarship 2018 selected from previous year’s 101 awardees. They are SredhaBabu from Thellakom, Kottayam, Vijayalakshmi from Ernakulam, Meera George from Thidanadu, Kottayam, Arpitha George from Pazhayarikkandam, Idukki, Geethu Pradeep, Moolamattom, Idukki, Mumthaz from Thrissur, Aiswarya from Kozhikkodu, Sneha Varghese from and SibinaSibichen from Edathua, Alappuzha. Each of the above nursing students will be receiving and amount of £ 335.00 totalling to £ 3015.00.The date and venue of the fund distribution will be announced later. The three peak challenge was organised in July 2018 to support the above project alongwith the funding to tribal communities and a small amount of Llanberris Mountain Rescue in Wales. 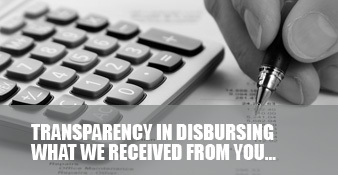 When the event fetched a total amount of £ 21,619.00, the amount of £ 20,998.00 made available after deducting £ 631.00 towards virgin money giving commission. While £ 16000.00 earmarked for tribal community, an amount of £ 3015.00 allotted to nursing scholarship and £ 500.00 towards Llanberris Mountain Rescue.An amount of £ 1968.37 spent towards the expenses such as accommodation, vanhire, fuel, printing, stationary and other grocery expenses. The trustees has approved £ 495.37 to use from general fund to facilitate the above funding.